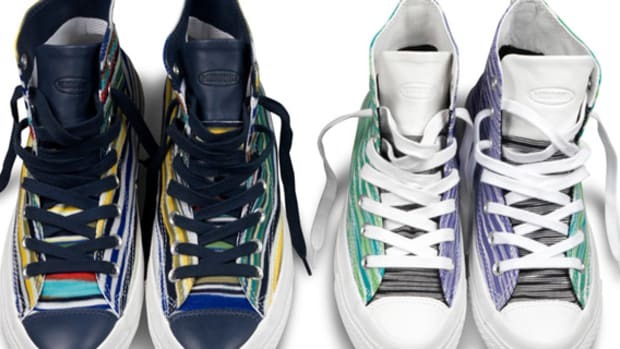 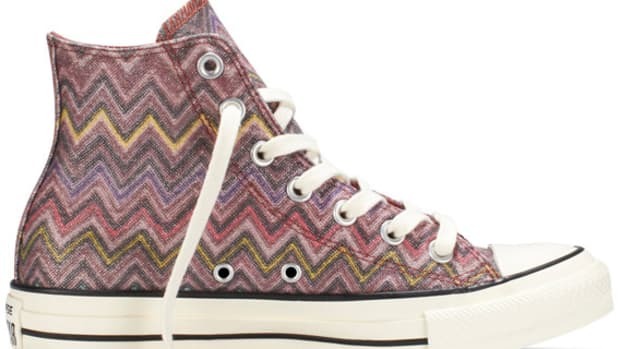 The CONVERSE All Star Chuck ’70 Missoni Collection is the ninth First String collaboration with the Italian fashion house, representing a blend of earthy tones and premium materials that are meant to create luxurious internal warmth and comfort. 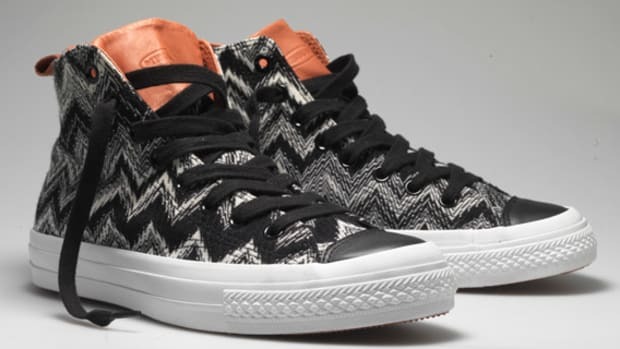 The CONVERSE Chuck ’70 Missoni Zip Suede is an homage to Japanese “boro” patchwork, as it uses three different browns on the suede tonal upper. 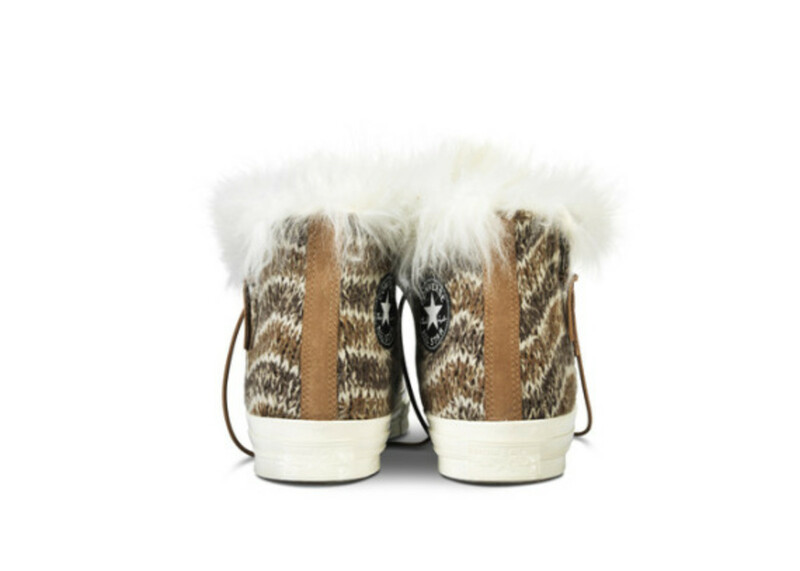 Perhaps most notable about these is the inner lining, made up of Missoni mohair, yarn made from Angora goats. 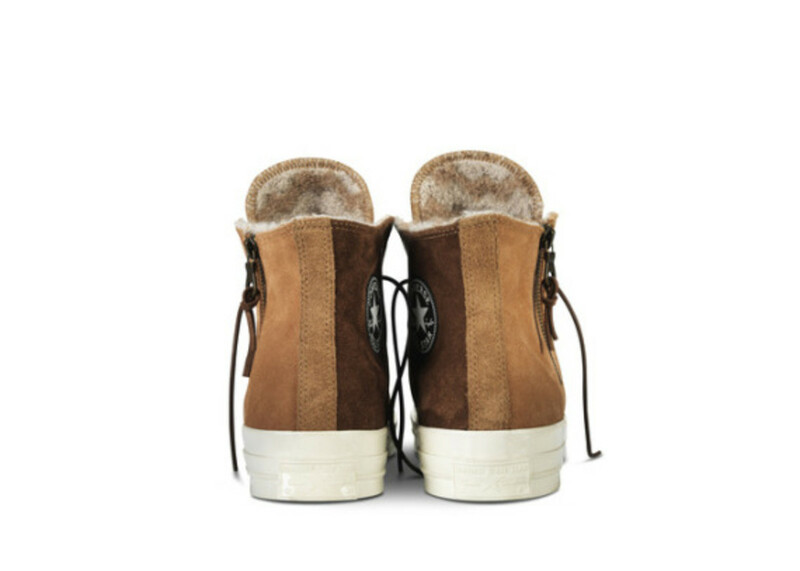 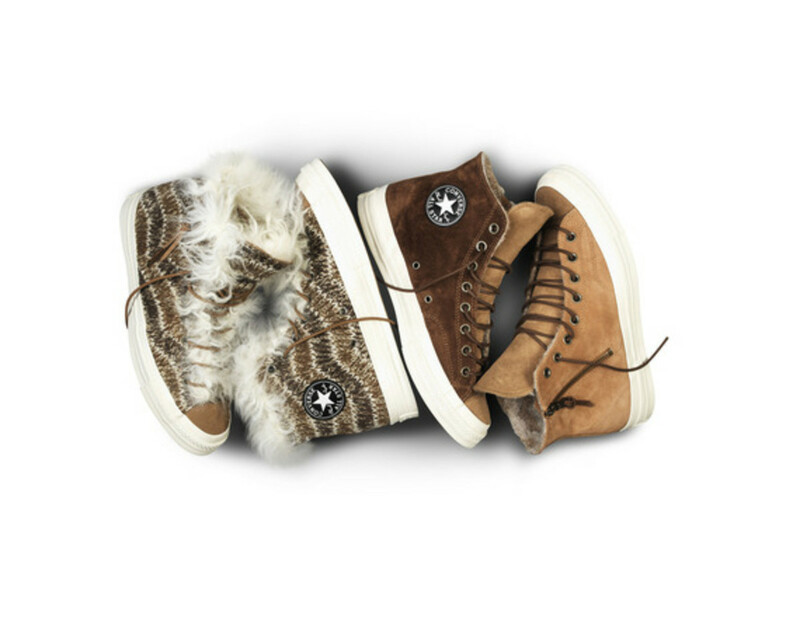 Where this sneaker presents a clean silhouette, the CONVERSE Chuck ’70 Missoni Zip Shearling lets its hair down. 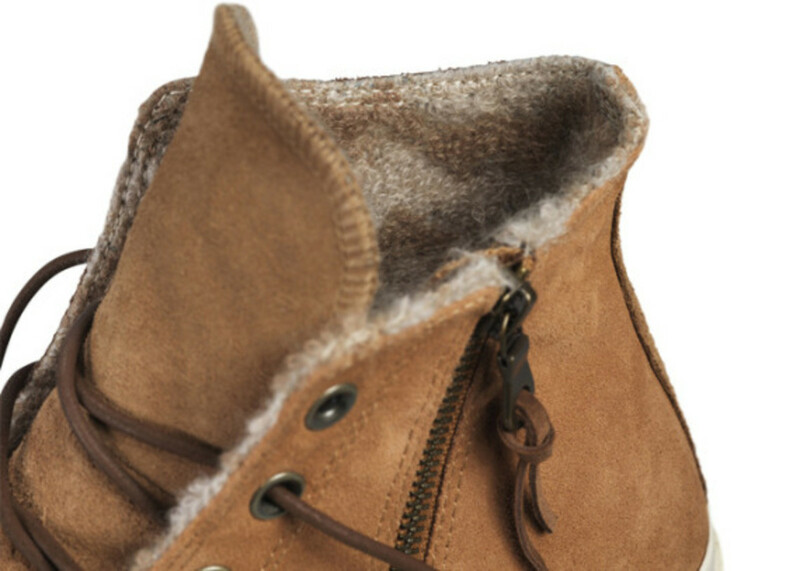 On this second pair, the inner lining is a thick sheep wool that is literally bursting out of the seams. 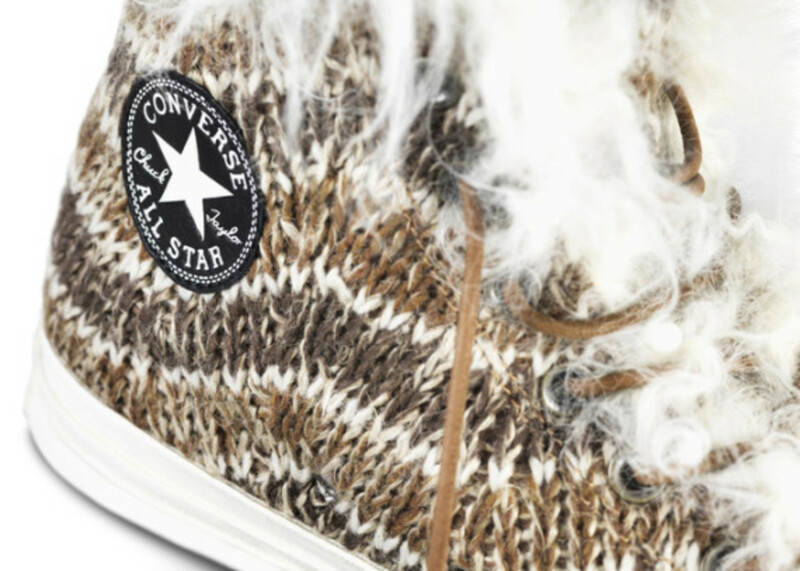 A brown and white knitted upper does its best to contain the uncut shearling. 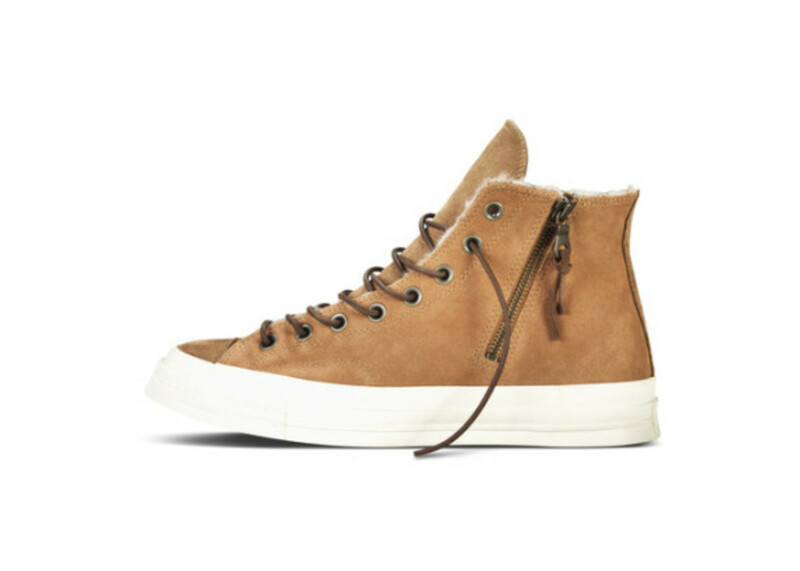 Both sneakers feature a suede toecap, rounded leather laces and brass eyelets. 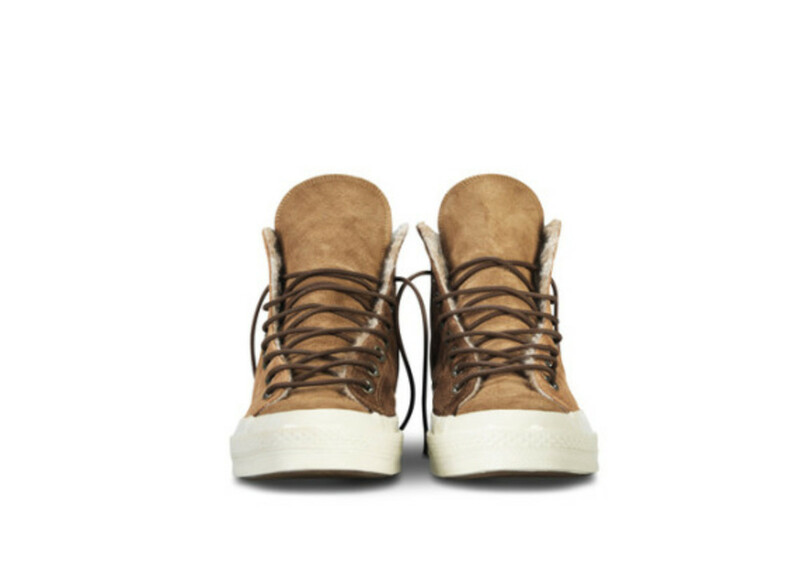 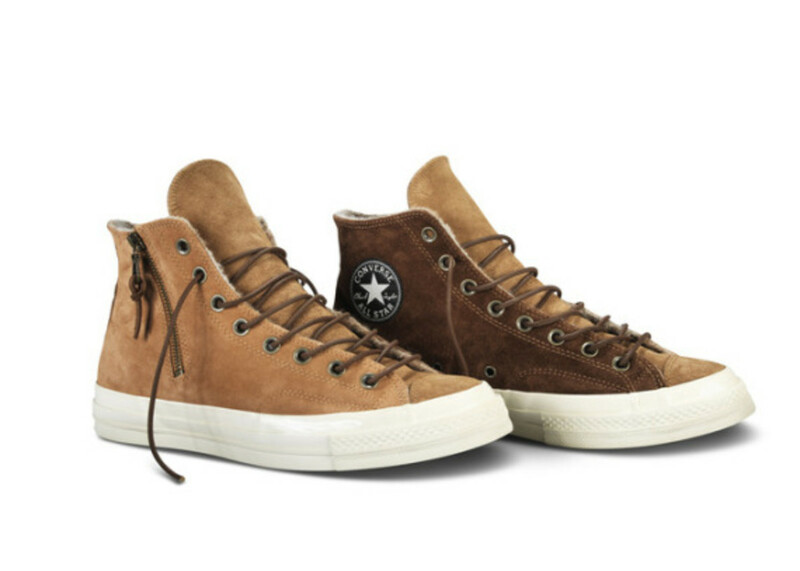 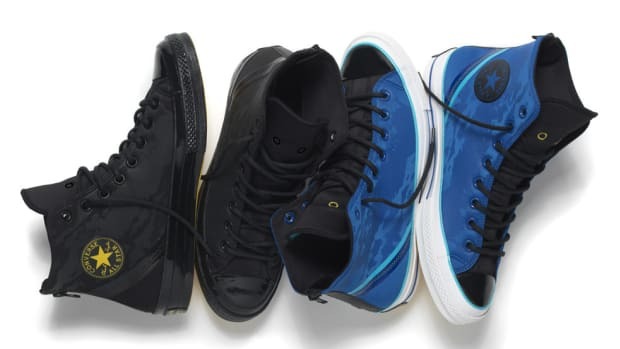 These two pairs will be available at Converse stores in New York, Santa Monica, San Francisco, Dover Street Market in New York and London, SOTO in Berlin and Colette in Paris for $200 for the Suede, and $250 for the shearling. 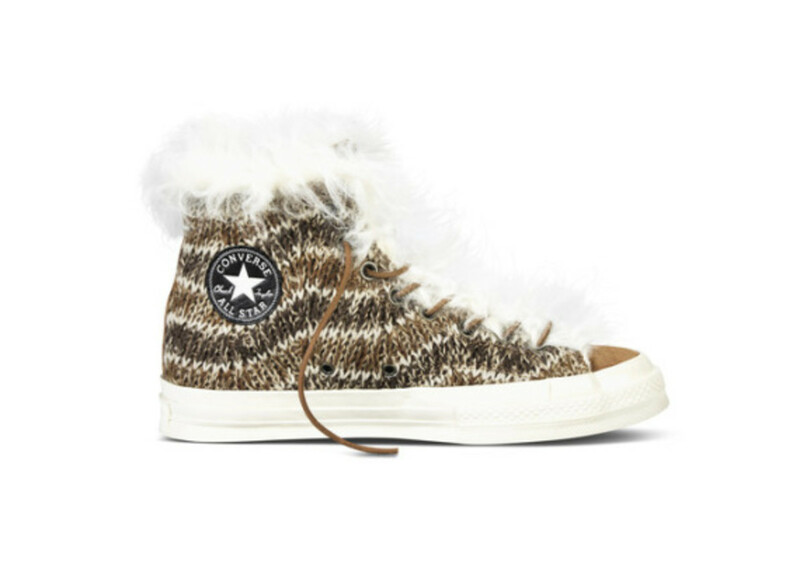 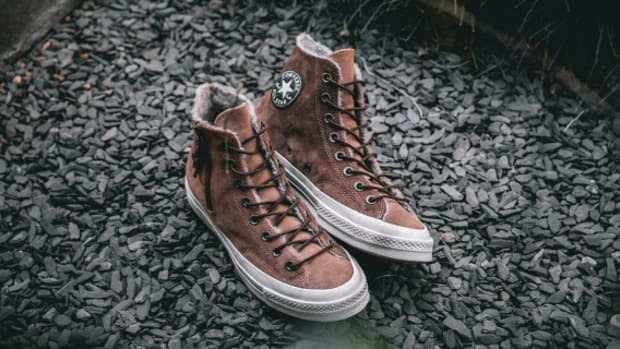 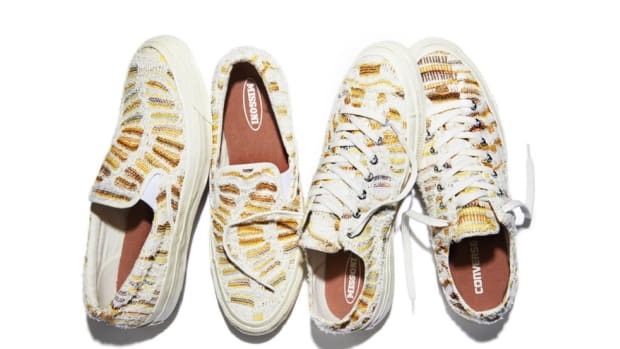 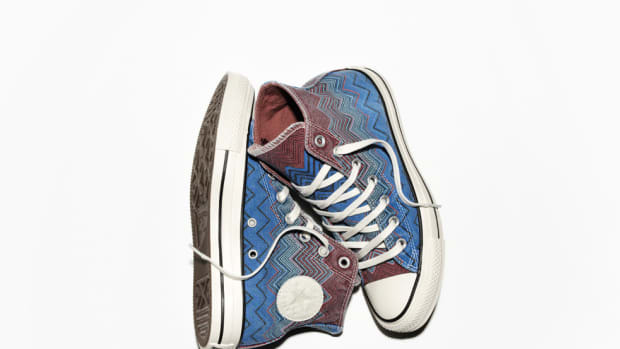 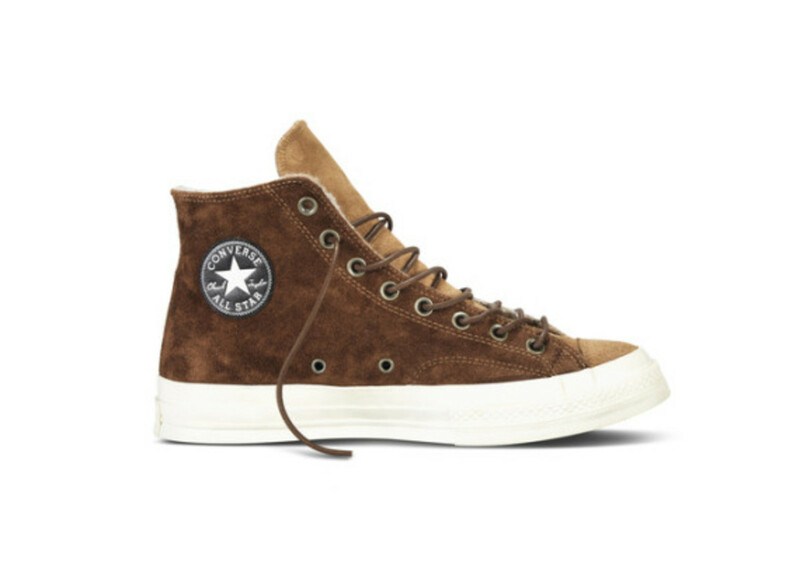 Missoni x CONVERSE All-Star Chuck '70 Zip Hi - “Cashew"